Hello! I am so excited to be the Guest Designer for The Ton Stamps' October Challenge this month, as I won the August Challenge. 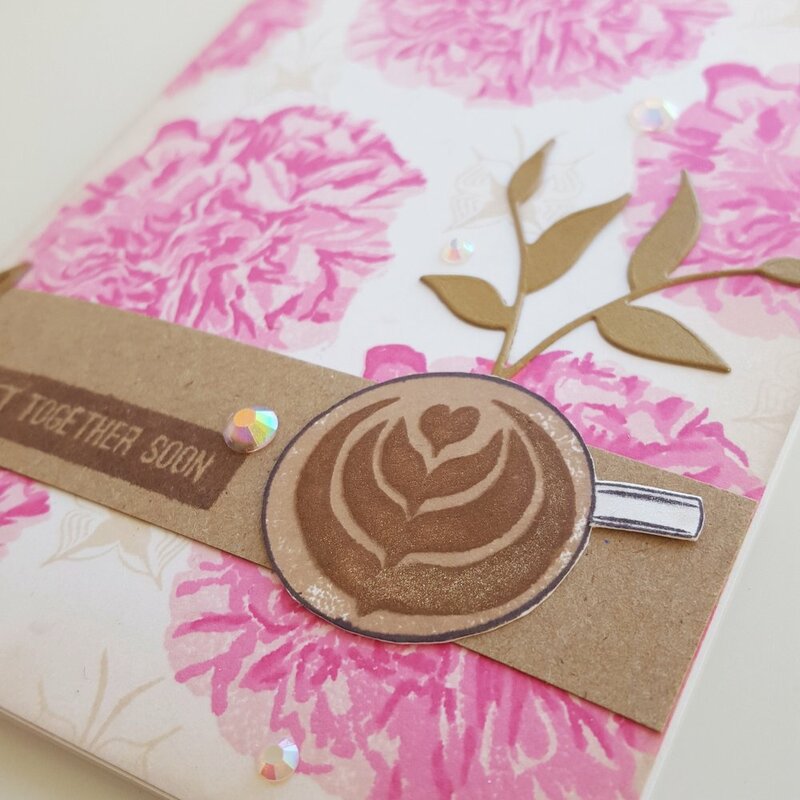 I absolutely adore The Ton Stamps' products, so it is a delight to make a card for this challenge! This month's mood board is absolutely gorgeous - I love the pink and brown color combination and how lovely coffee or hot chocolate is in the Fall. 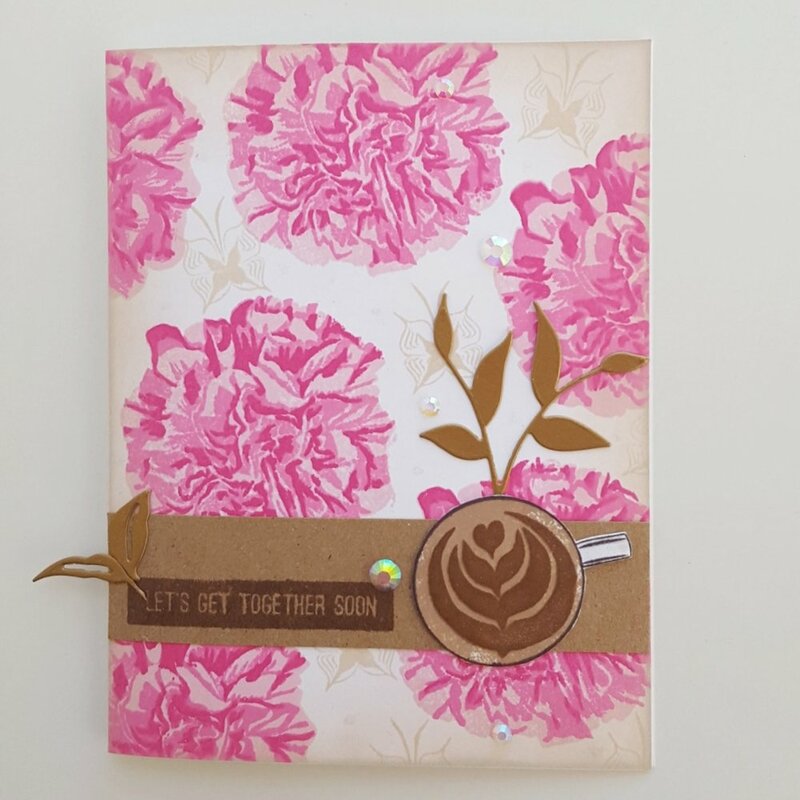 I was so excited when The Ton came out with a layered carnation stamp set because I love carnations and The Fresh Cut Carnations stamp set is just gorgeous. I decided to use them to create a background and add in the butterfly image from the Hug in a Mug stamp set as a filler between the flowers. I then blended a pale brown with an ink blender to create a vintage, autumn look on the edges of the panel. I then added a strip of Kraft paper to help create a focal point for the cup of coffee, and placed some copper leaves from the Petal Cut Peonies Standalone Die set for some shiny neutral accents. Finished off with some Wink of Stella accents, and some rhinestones, and this card is complete! Thanks so much for stopping by, and I hope you play along with this month's mood board challenge!